Dativa stares intently at the wall with her crystal blue eyes – an uncommon physical trait among Rwandans – as she shares the story of her life since the genocide in 1994. A mother to 11 children, five of whom were killed during the war, Dativa struggles to pay for basic necessities such as food, healthcare and school fees. Dativa’s husband was also killed during the genocide, so she carries the family’s entire financial burden alone. After the genocide, she took in seven orphans all of whom she cared for on her meager salary as a farmer. As the driving force of the Rwandan economy, agriculture employs 70 percent of the population. Women perform the bulk of the labor, putting in approximately 51 hours per week on farm and domestic duties compared to men who work 40 hours. Most women farmers lack the means to purchase high-quality seeds and proper storage facilities to protect their crops. Many also never received education on effective farming methods to increase yields and to ensure that the soil on their land remains healthy. This creates a cycle of subsistence farming leaving very little or no profit from outputs for farmers to use as a source of income or capital. Today, Humanity Unified International, a New York-based nonprofit is working to change this. Currently, the organization is empowering Dativa and 99 other women through a farming cooperative project that will ensure each woman earns a self-sustaining, livable income after completing a one-year intensive educational program. Bernadette is a member of Dativa’s cooperative and shares similar difficulties. She has three children all of whom she struggles to keep in school due to the expensive fees. Her husband left one day and never returned, so she too bears the family’s financial burdens. Bernadette recently took in the 4-year-old child of a friend who passed away. The child’s father is mentally ill and incapable of properly caring for her. 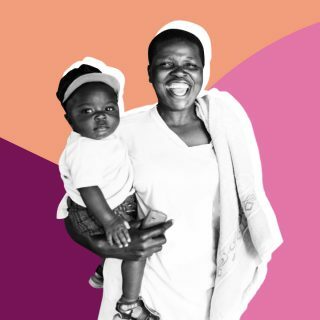 In spite of all the responsibilities Bernadette carries each day, she continues to look forward to a future that ensures her needs and the needs of her children are met. Both Bernadette and Dativa are benefiting from Humanity Unified’s program, which provides them with the skills and knowledge necessary to triple the cooperative’s yields over the course of one year. The 100 women enrolled in the cooperative, most of whom earn less than a dollar per day, are also attending workshops on gender-based violence, women and children’s rights, nutrition, positive masculinity (which includes male partners) and workshops designed specifically for single and widowed women. The program also provides training in cooperative management, savings and loans and effective agriculture methods. 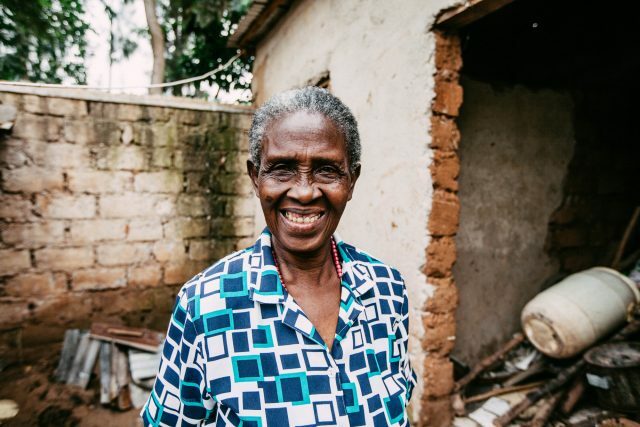 Since 2015, Humanity Unified has been working in Rwanda with their partner Aspire Rwanda, a local NGO that works to empower poor women to rise above poverty. The two organizations share similar missions dedicated to poverty alleviation through education, food security, and economic opportunities. The cooperative project is having an incredible impact on the beneficiaries who now understand their rights as women, wives, and mothers. The women are also learning how to be leaders in managing the needs of the 25-hectare farm to ensure that yields increase dramatically over the coming year. “I like being in the cooperative because I feel supported by the other women,” says Sylvia, 30 and a mother of three. 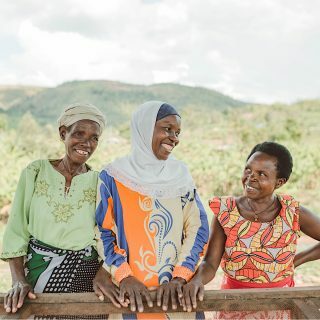 For Rwandan women, the benefits of being part of a cooperative stem deeper than simply existing as an organization owned and run jointly by its members who share profits and benefits. Ethnic tensions created before and during the genocide still exist regardless of the government’s attempt to unite people by identifying as “Rwandan” rather than associating with a specific tribe. 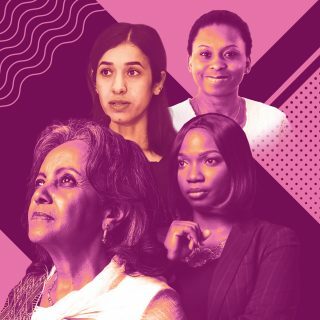 The genocide caused deep divides among the Hutus and Tutsis, so employing the cooperative model to bring women from different ethnic backgrounds together to work towards common goals resulting in financial benefit is a win-win. This type of structure creates tolerance, compassion, and a sisterhood among the women enrolled. On any given day at the farm, you’ll find the women clustered together tending to a specific project or caring for their individual plots. The camaraderie is as apparent as Rwanda’s magnificent rolling green hills. It’s common to hear laughter and to see friends walking arm in arm as they set out for the road home. Sometimes in early morning, when its quiet, you’ll hear the sweet sound of voices humming a song that has great meaning in Rwanda: “Amahoro,” the word for “peace” in Kinyarwanda. For many of the women, this is a chance to find peace in their life and to look forward to a self-sustaining future as a successful farmer. Learn more about Humanity Unified International, and sign up today to join ONE in the fight for gender equality on International Women’s Day 2017.